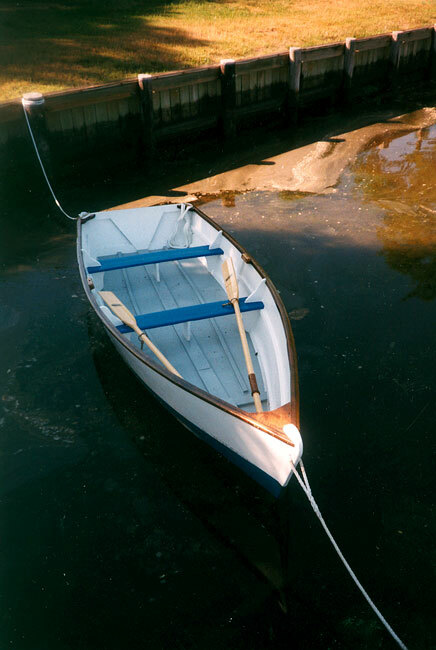 Dennis Williams believes this 11' skiff to have built sometime in the 1950s. It was restored by Fabian and Sachs restorations. It was a sailing skiff, which Dennis had converted to a rowing skiff. He uses her in the West River at Shady Side, MD.